We probably don't know all the Pools in Ukraine. Are you missing any? Contact us!. Please contact the sports center in Ukraine to check which activities are being supplied and their timetables, due to the fact Ukraine Pools may possibly have different rules and fares than other places. Thanks to some new pools submitted by swimmers like you, Swimia.com is increasing within the every day quantity of stored pools. Please don't hesitate to make contact with us should you come across any Ukraine Swimming Pool with inaccurate or incomplete data. If you are looking for Ukraine Pools, it is great to know numerous of them belong to gyms or sports centers which also provide lessons. Get informed by calling the premises. Going to a Ukraine Swimming Pool is growing particularly within the elderly population sectors of Ukraine, who have suffered some kind of muscle or bone damage. Are you a regular swimmer? Have you ever practiced Aquagym in Ukraine? Let us know!. One of the benefits of outdoor swimming in Ukraine is the possibility to sunbathe for the duration of the summer time season. Taking it with additional care, sunbathing is healthy because introduces Vitamin D into the body, so the most effective alternative seems to be switching amongst indoor and outdoor pools depending on the season. There are a number of causes why it's best to choose a heated swimming pool in Ukraine. Probably the most essential one relies on the significance of keeping the body temperature stable. If the water is as well cold, your body will try to warm it up and you will lose strength to swim correctly. Enjoy the best indoor pools in Ukraine and don't worry about the weather. These facilities are open all seasons and you can enjoy a swim at the same temperature every day of the year. Swimming can be a superb concept to keep your body active throughout your visit to Dnipropetrovs'k (Ukraine), or perhaps in case you are a local. Swimia helps you to discover your closest Swimming Pool in Dnipropetrovs'k. Holding an estimated population of 1.024.700, Donetsk is one of the most important cities in Ukraine. Check all the Pool in Donetsk and its surrounding region. Let us tell you a secret to switch off whilst you're in Kyiv: just decide on a Swimming Pool in Kyiv and plunge into the water! There's no alot more successful approach. Whereas Zaporozhye is among the six most populous cities in Ukraine with nearly 796.217 residents, you shouldn't miss that one if you're going to Ukraine. It's hard to visit Ukraine with no dropping by Kharkiv (with 1.430.885 residents). Currently Swimia is showing you all the Swimming Pool in Kharkiv and also the closest pools located in its vicinity. Without a shadow of a doubt, swimming in Odessa is the ideal method to unwind following work. 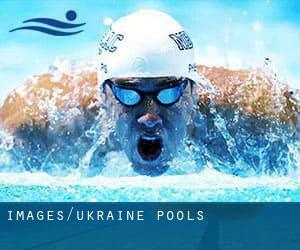 Take a couple of minutes to browse Swimia's catalog to find a Swimming Pool in Odessa. Kursk ul, 17 , Kiev (Kyiv) (Postal Code: Unknown). This sports center delivers 25 meters, 6 lanes, 0.8 meters - 4 meters depth, 0.8 meters - 4 meters depth, Indoors. For this Swimming Pool, only phone number is number here. 5-7/29 Taras Shevchenko Blvd. / Pushkinska Str. , Kiev (Kyiv) (Postal Code: 01004). Among all the activities supplied by the center, for anyone who is enthusiastic about swimming you will enjoy 17 meters x 6 meters, 1.5 meters - 2.2 meters depth, 1.5 meters - 2.2 meters depth, Indoors. Just in case you would like to contact this Swimming Pool just before dropping by, we only know the phone number. ul. Louis Pastera, 179A , Kharkov (Postal Code: 61089). Among all of the activities supplied by the center, for anybody who is enthusiastic about swimming you'll appreciate 25 meters, 6 lanes, Indoors. Just in case you want to make contact with this Swimming Pool prior to dropping by, we only know the phone number. 10, Povitroflotsky Ave. , Kiev (Kyiv) (Postal Code: Unknown). This sports center delivers Olympic size x 25 meterseters, 10 x 21 lanes, 1.2 meters - 5.5 meters depth, 1.2 meters - 5.5 meters depth, Indoors. For this Pool, only phone number is number here. Voloshskaya St, 62 , Kiev (Kyiv) (Postal Code: Unknown). Swimmers like you reported 25 meters, 6 lanes, 1.5 meters - 5 meters depth, 1.5 meters - 5 meters depth, Indoors. Unfortunately we do not have the email address of this Pool, but we can provide you with the phone number. 6 Vozduhoflotsky Prosp. , Kiev (Kyiv) (Postal Code: Unknown). Swimmers like you reported Olympic size x 25 meters, 1.2 meters - 5.5 meters depth, 1.2 meters - 5.5 meters depth, Indoors. Unfortunately we do not have the e-mail address of this Swimming Pool, but we can give you the phone number. Prospekt Peremogi 34 , Chernihiv (Postal Code: 14000). Among all the activities supplied by the center, in case you are keen on swimming you may enjoy 25 meters, 6 lanes, 5 meters maximum depth, 5 meters maximum depth, Indoors. Just in case you would like to get in touch with this Pool just before dropping by, we only know the phone number. Nemyshlyanskaya st, 56A , Kharkov (Postal Code: 61044). Among all the activities provided by the center, for anybody who is interested in swimming you may appreciate 25 meters, 6 lanes, Indoors. Just in case you desire to contact this Swimming Pool prior to dropping by, we only know the phone number. Updated on 2019 ul. Astronomicheskaya 7A , Kharkov (Postal Code: 61085). Among all the activities provided by the center, if you're thinking about swimming you are going to take pleasure in 25 meters, 6 lanes (only 3 useable), Indoors. Just in case you desire to get in touch with this Pool before dropping by, we only know the phone number. Geroev Stalingrada avenue, 45 , Obolon , Kiev (Kyiv) (Postal Code: 04214). This sports center gives 25 meters, 4 lanes, 1.5 meters - 4 meters depth, 1.5 meters - 4 meters depth, Indoors. Contact knowledge for this Swimming Pool for example phone number and email address are number. Institute of Physical Culture , 8/10 Dimitrova , Goloseyevskiy District , Kiev (Kyiv) (Postal Code: 03150). This sports center provides 25 meters, 6 lanes, Indoors. For this Pool, only phone number is number here. Traktorostroitelej parkway, 55 , Kharkov (Postal Code: 61153). Among all of the activities supplied by the center, in case you are considering swimming you might get pleasure from 25 meters, 4 lanes, Indoors. Just in case you desire to get in touch with this Pool before dropping by, we only know the phone number. 7 Bastionna Street , Kiev (Kyiv) (Postal Code: 01014). Few days ago a regular user of this center told us they offer Olympic size, Outdoors. Furthermore, they keep in good conditions 25 meters, 0.5 meters - 2 meters depth, 0.5 meters - 2 meters depth, Indoors. For this Swimming Pool, only phone number is number here. Updated on 2019 Ul Sergiyenko 2/3 , Leningrad Square , Kiev (Kyiv) (Postal Code: 02094). This sports center offers Olympic size x 23 meters, 8 lanes, 1.4 meters - 5.3 meters depth, 1.4 meters - 5.3 meters depth, Indoors. For this Swimming Pool, only phone number is number here. str.Vernadskogo, 32 , Kiev (Kyiv) (Postal Code: Unknown). Swimmers like you reported 25 meters, 6 lanes, Indoors. Unfortunately we do not have the email address of this Pool, but we can give you the phone number.